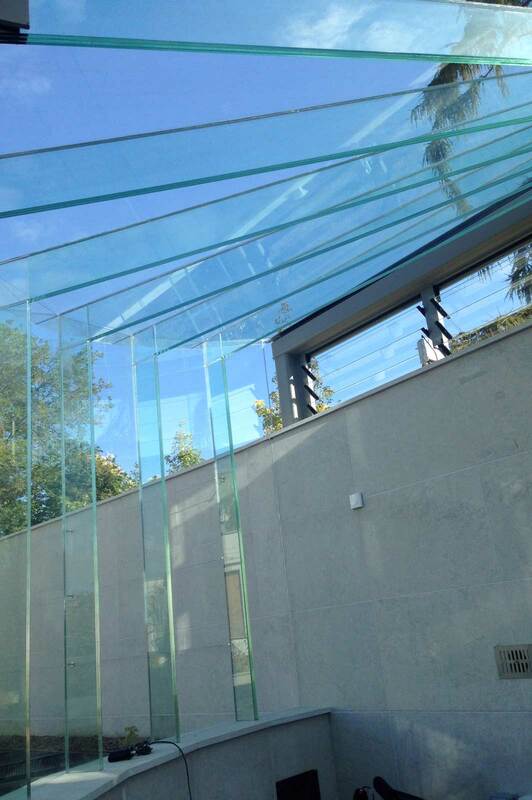 Creating an unusual and wholly bespoke structural glass greenhouse for a residential project. 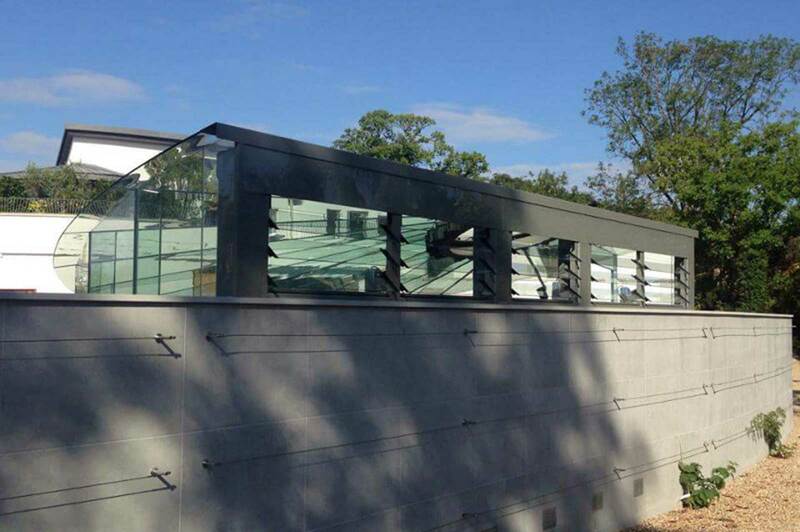 Structural glass panels to create the walls and glass roof; structural glass fins; structural glass beams; automatic louvred windows; double glass doors and bespoke steel framework. This high specification new build home in Berkshire involved full landscaping of the surrounding gardens, including the creation of a walled garden with raised beds. The semi-circular greenhouse was designed to create a statement architectural focal point for the garden, using structural glass beams and fins for an almost wholly frameless result. Automatic louvred windows were specified to provide appropriate ventilation to ensure the optimum growing conditions for the plants. Flower beds were built into the floor of the greenhouse and a small opening was left in the wall to provide easy access for the owner’s tortoise. 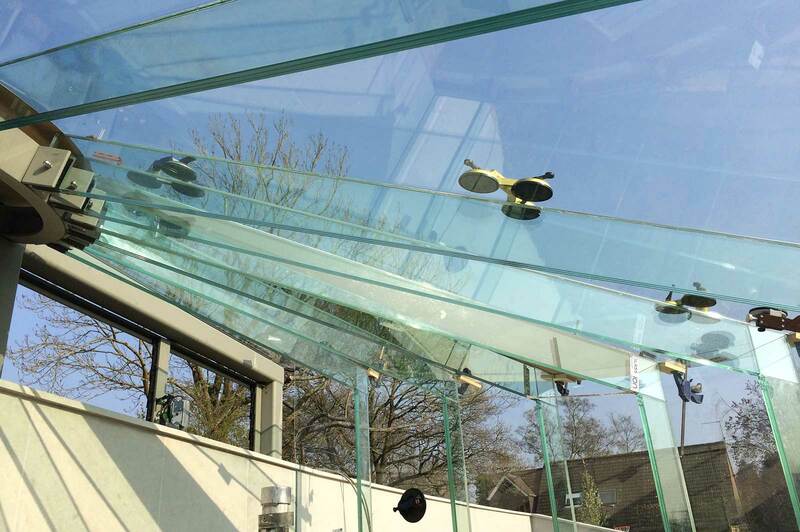 Ion Glass produced all the designs for this ambitious and technically demanding project, taking it from the initial concept stage to installation, ensuring the result met all structural requirements and was fully compliant. 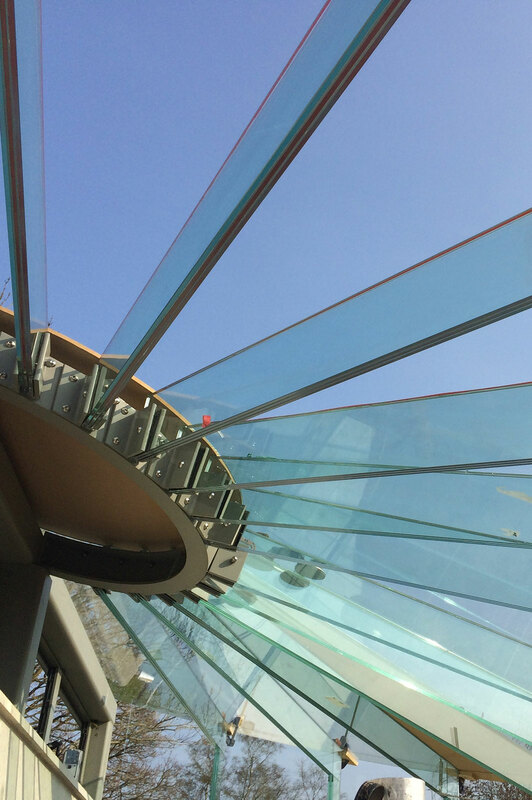 The rear elevation of the greenhouse is constructed from a steel framework featuring a bespoke semi-circular frame designed to hold the structural glass beams to which each glass roof panel is fixed. A series of louvred windows are set into the frame, which open and close automatically to provide optimum ventilation. A central ‘goal post’ frame around the double doors gives integrity to the front of the structure, providing support for the key, central glass roof panel and a fixing point for the side panels of the walls. 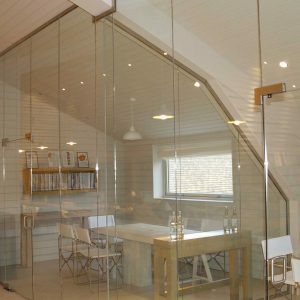 On either side of the door frame, five glass wall panels in 10mm toughened glass are set into stainless channels in the top of the low block wall, with the individual structural glass fins providing support and integrity to the structure. The final glass panels are set into vertical channels in the garden wall. 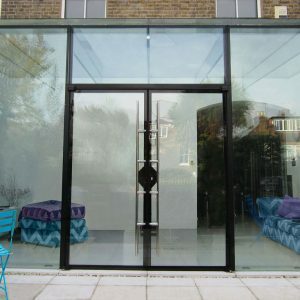 The greenhouse is finished with double glass doors, fitted with Biloba hydraulic hinges in brushed stainless steel, with simple handles chosen to offer almost no distraction from the minimal appearance of the glass structure. 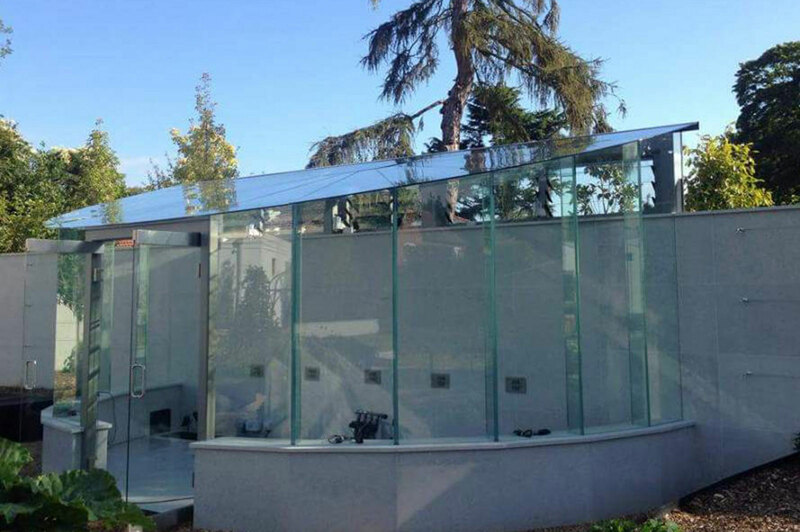 In order to ensure a perfect result, the entire greenhouse was created using accurate wooden templates, testing the angles on the glass beams and the precise fit of all the panels. 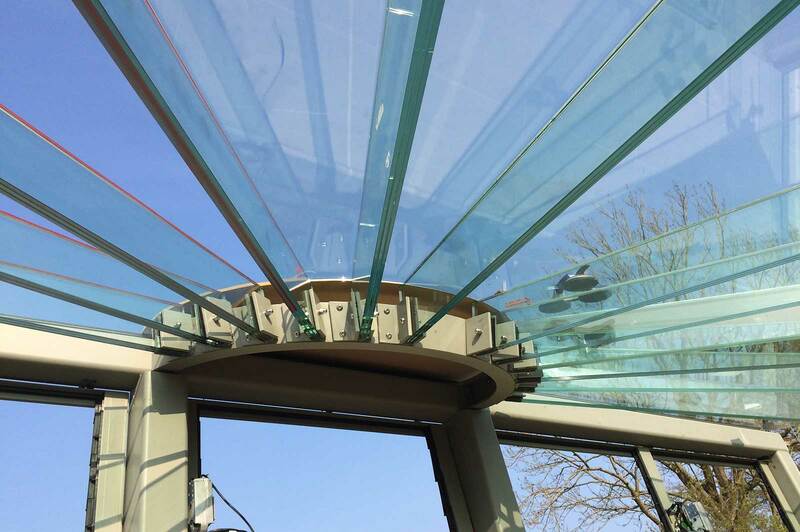 Once the glass had been manufactured it was all manoeuvred into position by Ion’s skilled installation team, securing the final finish to the glass structure with clear silicone joints. 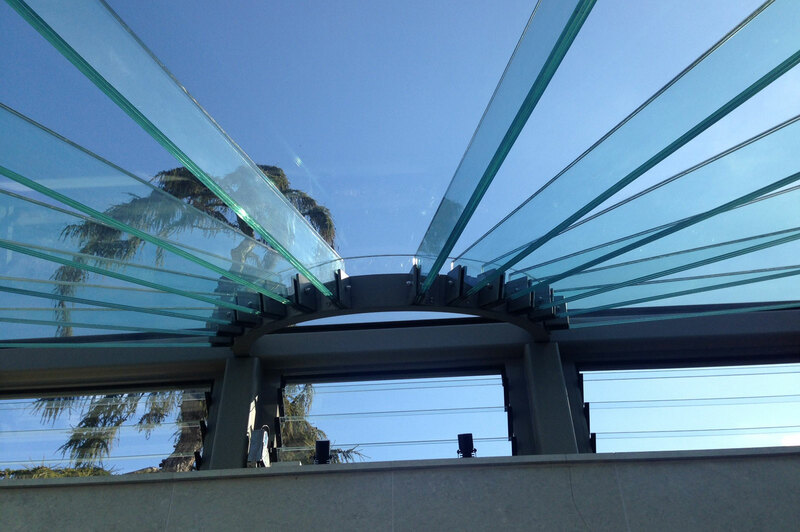 The finished result is a wholly unique frameless glass structure that is an impressive testament to the skill of Ion’s design technicians and installation teams. 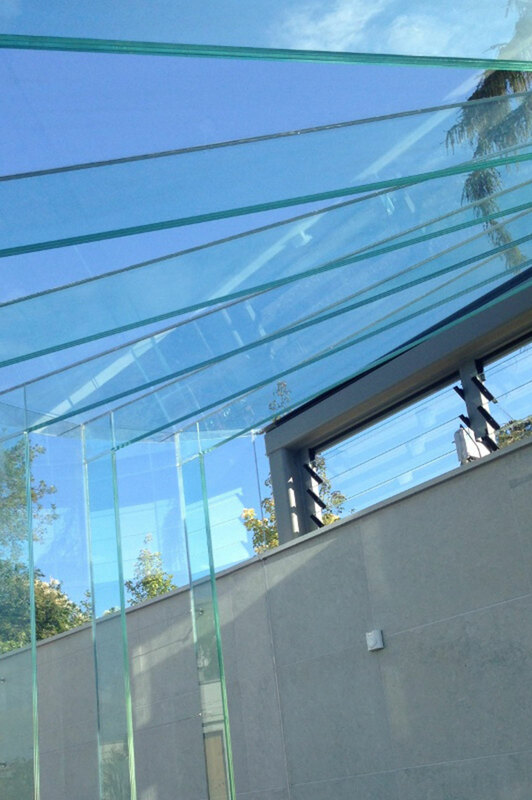 Its contemporary glass styling provides a focal point for the garden significantly exceeding the standards generally expected for a greenhouse.